Keith Johnston has spent his career helping people and organizations reach their potential through effective communications and leadership. Having recruited, trained, coached, and mentored hundreds of individuals while working for large multi-national consulting firms, Keith left this arena in 2001 to devote his time exclusively to helping people and organizations accelerate their growth through the development of leaders and teams. Keith's approach to developing leaders is based on more than 30 years experience consulting to some of the world's largest organizations. His clients were located in 20 countries on four continents. While serving as an executive in the technology industry, Keith led the transformation of a large software company to a solutions company. He was responsible for building teams of consultants on a global basis to lead the company and their clients in the transformation to a new business model. This transformation required the application of leadership principals and the development of a highly effective leadership team. 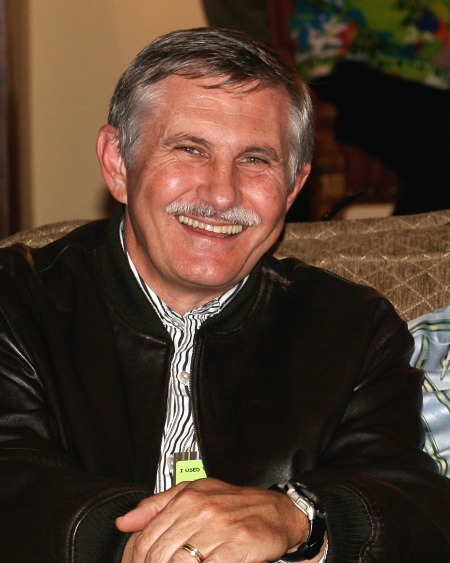 Keith has written two books which deal with the application of innovative thinking to achieve extraordinary results. His books: “Zero to $60 Million” and "A Garage Full of Ferraris - How to unleash the potential in your high-performance teams to drive extraordinary results" have received rave reviews in business and academic circles. Keith is an avid sportsman and has extended his passion into sports photography. He officiated football in Texas for 27 years, has coached high school football in British Columbia, and his photos have appeared on the cover of the largest officiating magazine in the world. He uses his connection to sports along with his 30 years of business experience to craft stories illustrating the achievement of potential for his audiences. Keith earned his MBA from McMaster University, and BA from Austin College in Sherman, Texas. 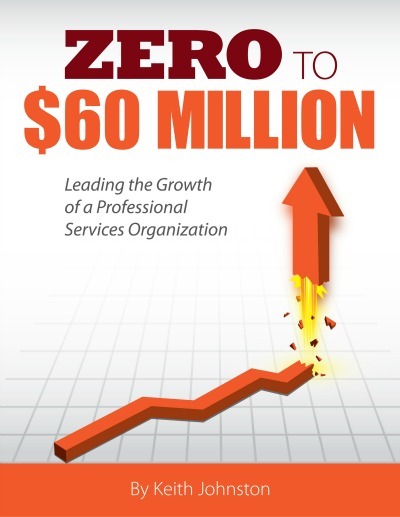 "Zero to $60 Million" challenges professional services practice directors to think out of the box when faced with the challenge of building their businesses. Case studies reinforce the practical application of unconventional approaches to building a consulting practice, and provide insights into steps taken to produce results that were totally unexpected and unpredictable. The lessons learned can serve as a bench mark in assessing current practices against a formula that has produced extraordinary results. The case studies reveal the secret behind how the senior management team of a professional services organization was able to overcome their fear to grow by more than 500% in 3 years. Details are presented of how one of the world's most successful consulting firms laid the groundwork for phenomenal growth by refusing to accept the resignation of a partner responsible for a major disaster. Readers will learn how a highly successful firm fell victim to a devastating lawsuit because it developed a culture that ignored one of the most critical components of a professional services organization. Finally, the book provides insights into how a practice leader was able to exceed revenue goals by a factor of 10 by pursuing a maverick approach to business development.